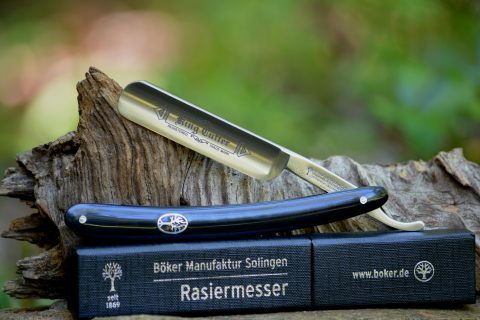 A huge chestnut-tree towering above the small Böker hardware-factory in the 17th century is the oldest traceable fact about the Böker family. 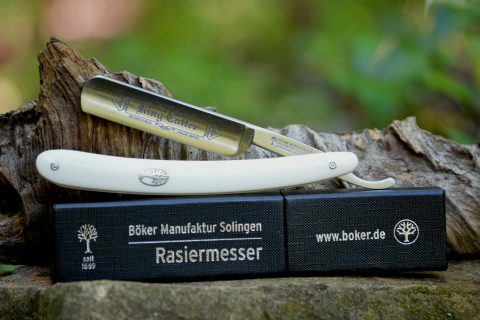 Apparently Böker tools were very successful, for the ranked among the leading products in Germany and neighboring countries a hundred years later. 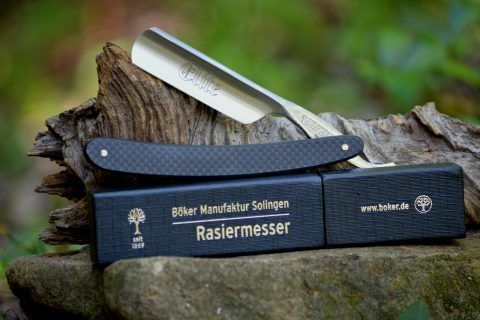 Due to rising demand in a politically restless era Hermann and Robert Böker decided to start with the production of sabres in 1829. Inventories of September 1830 had already proved a weekly production of 2000 pieces made by 64 smiths, 47 grinders and many additional laborers. 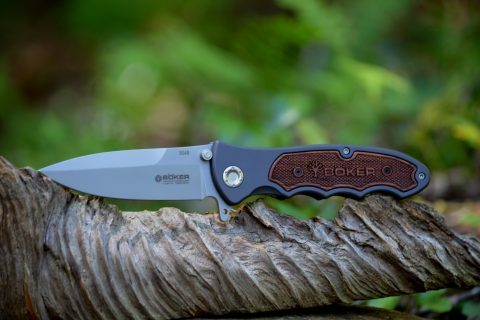 By 1865 Boker had established itself in North America under the Boker name. Though the original tree was felled by lightning in 1925, the company thrives, and the US became their largest market in the 20th century. Though the manufacturing facility was destroyed in WWII, Americans continued to desire these high quality products from Germany. The factory was rebuilt and the business relationship reestablished, making the US the largest consumer market once again. 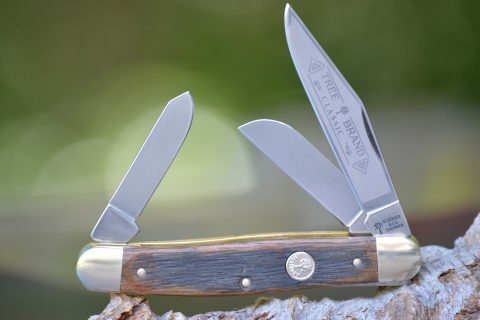 Today, Boker is one of the most respected cutleries in the world, and the Tree Brand and Arbolito trademarks are instantly recognizable as symbols of the utmost quality. 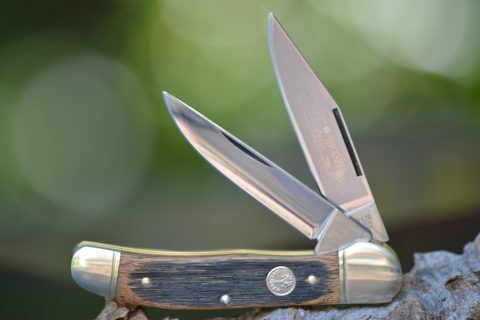 The Boker 114525 Trapper Stag has a deer stag handle and a closed length of 4.13″. Boker Barlow in a Grenadill wood handle. 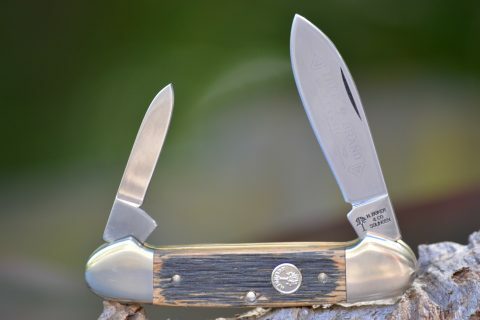 Stainless bolsters with an inlay shield and a mirror finished clip blade. 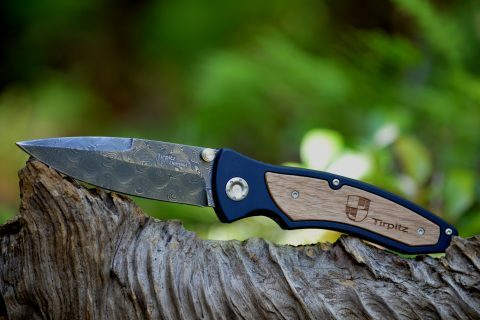 It has a 2 5/8″ blade and an 5 7/8″ OAL. 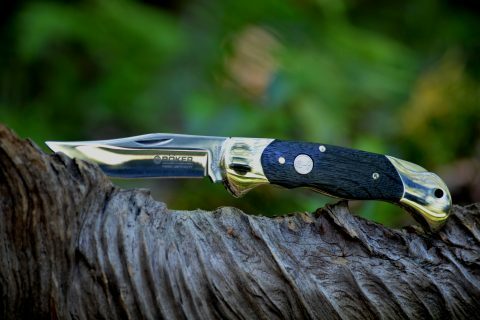 Carbon steel, 6/8″ blade, carbon fiber handle. 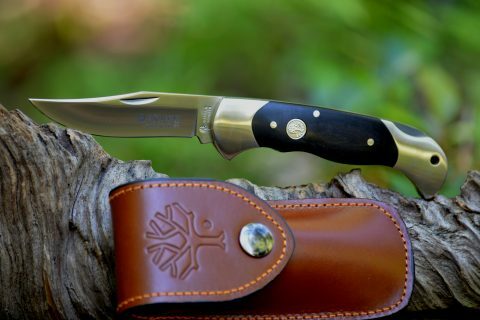 Carbon steel, 4/8″ blade, synthetic handle, historical etching. 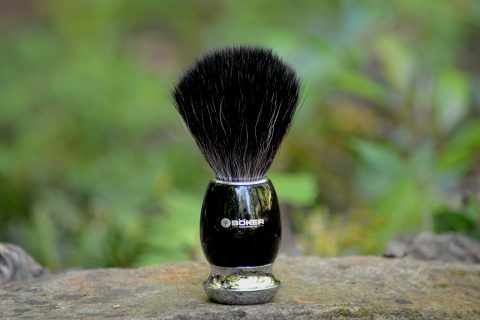 Black fiber, 1 1/4″ x 4″, black handle. 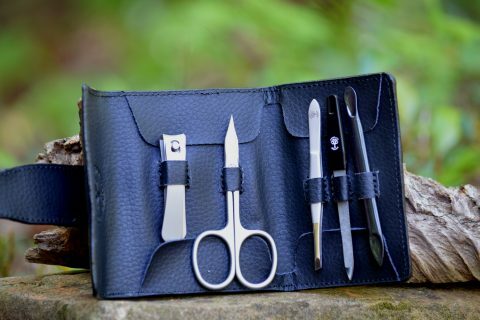 Cowhide Leather case, Stainless steel instruments, matte finish, 5 pcs. 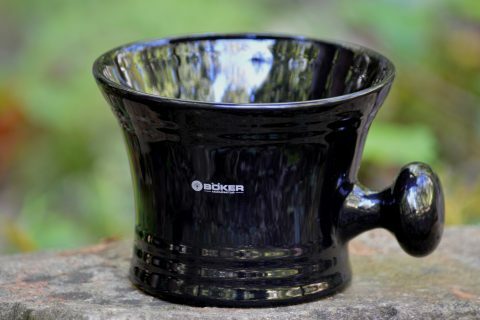 Black porcelain, knob, shaving bowl. 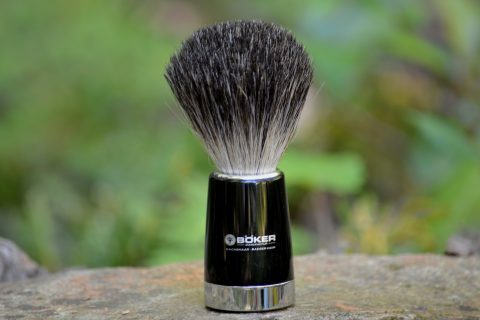 Metal, black synthetic resin shaver, chrome nickel-plated parts, pure badger hair. Safey Razor Blades, set of ten blades. 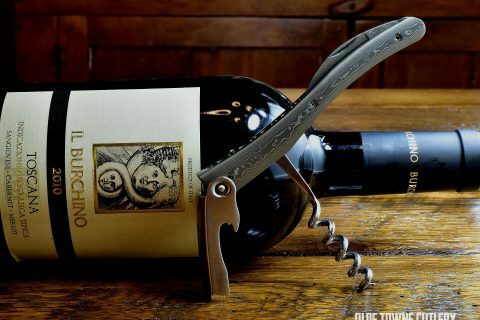 Metal, butterfly mechanism, Zinc die-castings, Chrome-plated finish. 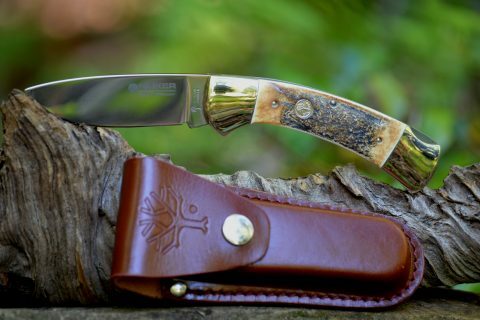 Arbolito Gaucho Steak Knives, 440A Stainless Steel blade, Olive wood handle, leather sheath. Boker Wine Knife, Damascus Steel blade and handles, file work, blade length 1.625″, OAL 4.5″. Damascus Steel blade, Aluminum and Walnut handle, wooden presentation box, certificate of authenticity. X-15 T.N. 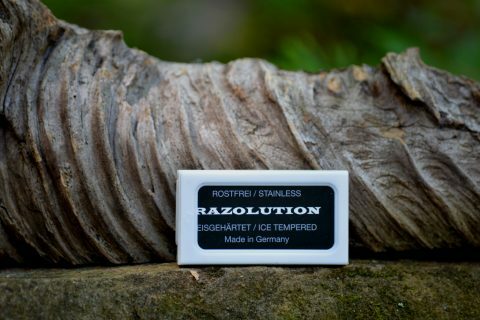 Stainless Steel, Satin finish, Rosewood handle material. 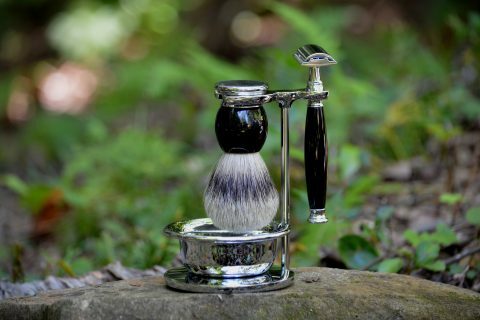 Bog Oak Wood, N690 polished blade steel, special anniversary shield. 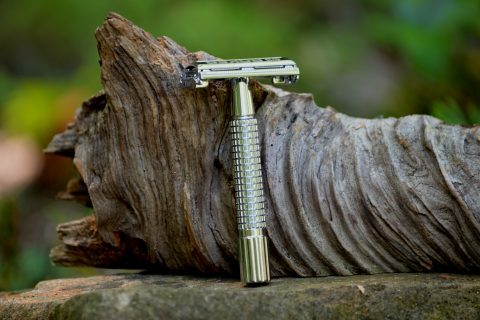 440C Stainless Steel blade, rugged Stag handles, solid stainless bolsters. 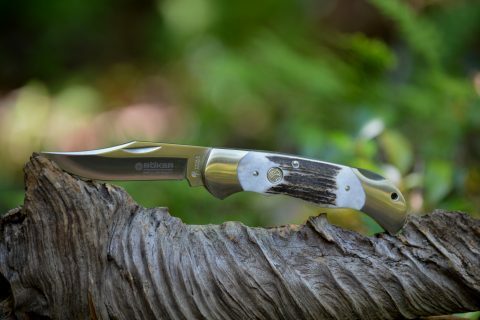 440C Stainless Steel blade, Staghorn handles, nickel silver bolsters. Cronidur 30 Stainless Steel, Satin finish blade, Grenadill Wood handle. 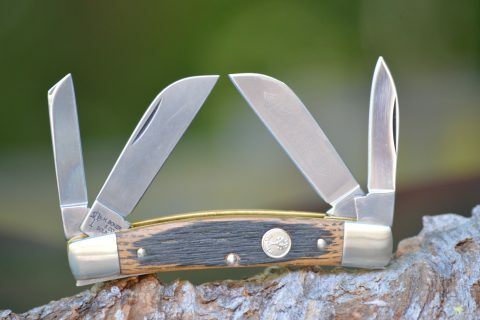 Boker, Beer Barrel Canoe, Genuine German beer barrel handles, nickel silver bolsters, Carbon Steel blades, brass liners, closed length 3 3/4″, 1 3/4″ blade and 2 1/2″ blade, 6 1/4″ OAL. 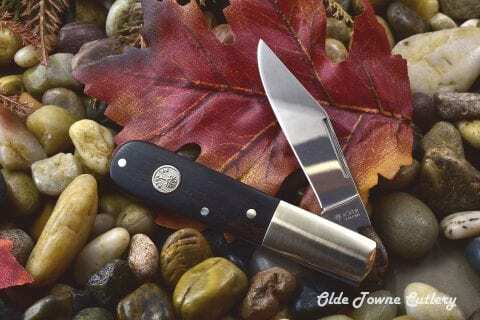 Boker, Beer Barrel, Copperhead, 112626BBL, Genuine German beer barrel handles, nickel silver bolsters, Carbon Steel blades, brass liners, closed length 3 3/4″, blade lengths 2 3/4″, 6 1/2″ OAL. 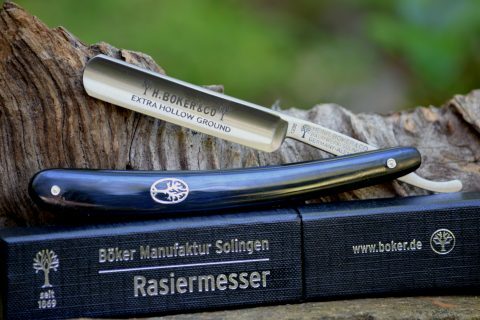 Boker, Beer Barrel, Congress, Genuine German beer barrel handles, nickel silver bolsters, Carbon Steel blades, brass liners, closed length 3 3/4″, 1 3/4, 2″, 2 1/4″ blades, 5 3/4″ OAL. 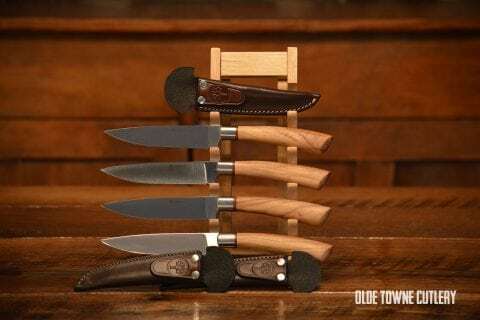 Boker, Beer Barrel, Stockman, Genuine German beer barrel handles, nickel silver bolsters, Carbon Steel blades, brass liners, closed length 4″, 2″ and 3″ blades, 7″ OAL.